The cute little mountain town of Lillafured is located in the Bükk mountain region in Eastern Hungary, not too far from the city of Miskolc and Eger. Mostly known for being a tourist resort, the town has quite a bit to offer for visitors. Whether you go there on a day trip or you want to stay longer, this place has something for everyone. Lillafured is named after the daughter of a baron who lived in the castle. This palace or castle is probably the best-known picture of the small town. The renaissance castle first opened in 1930. Now it’s a hotel where you can spend the night if you like. You can visit this traveler highlight on a day trip from Miskolc or Eger. The setting for this hotel is a prominent place in the town. Because of its beautiful setting, it’s also the trademark of Lillafured. When Googling the mountain town, the Palota hotel is the first picture that shows up. The Hunguest hotel chain bought the castle to set up a luxury hotel in it. The Hunguest Hotel Palota has a long history and this castle hotel opened its doors to the Hungarian high society in 1930. For a short period of time during World War 2, the Palota Hotel was converted into a military hospital. Back then, it was used to help and heal wounded Russian soldiers. Today, anyone can stay in the Hunguest Hotel Palota and prices start around 140€ per night per room in low season. The Hunguest Hotel offers a variety of luxury rooms, 2 award-winning restaurants. You can also visit the wellness center complete with sauna, pool, salt chamber, beauty salon, and massage center. In the proximity of Lillafured, 3 separate caves can be found. Anna Cave and St. Stephen Cave are located in the town center. The third cave is located in the woods outside of town. You can also check out another cool cave in the Bükk mountain region: Suba Lyuk Cave in Cserepfalu. 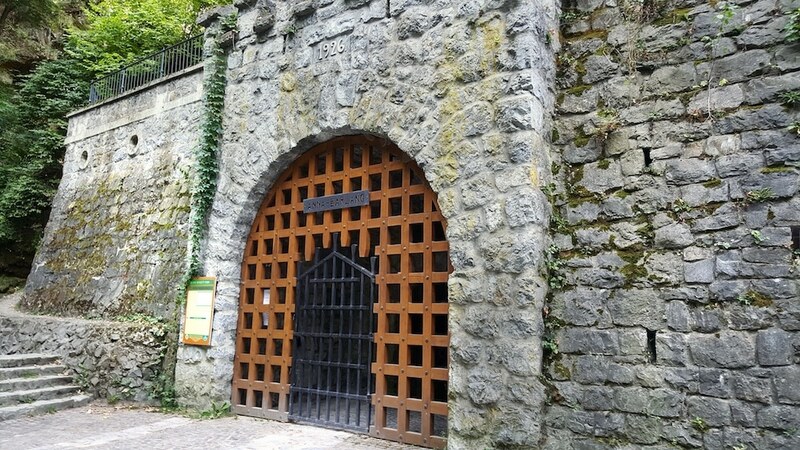 The Anna cave is located in the town center, not too far from the Hunguest Hotel Palota. Anna cave is a natural limestone cave that was discovered in 1833. Since then the entrance has been relocated when building the Palota hotel in the early 1900’s. The cave itself is over 560 meters long, but the public can only visit the first 200 meters. You can find dripstone and plant fossils in this cave, which was once even used as a church. Szinva river flows through the limestone cave, which resulted in special limestone patterns that are unique and interesting. Patterns have formed around plants, rocks, and trees that rotted away over the thousands of years of water passing by. The patterns remain, while the plants and trees are long gone. The Anna cave is open every day, all year long. St Stephen Cave is also a limestone cave, located in the town center. It’s is over 1 kilometer in length, but only the first 230 meters are open to the public. According to a legend, the cave was first discovered in 1913. At that time, a dog fell down the only entrance to the cave: a small shaft in the ground. When searching for the dog, they discovered the cave. After that, it took years before they actually excavated the cave. Today, the entrance is replaced and visitors can walk inside, instead of using the shaft in the ground. During the guided tour through the cave, the dog hole, which is the natural entrance to the cave, is visible in the cave ceiling. The St Stephen cave shows stalactites and stalagmites in different shapes and sizes. Most formations have names according to how they look, like a mammoth denture. Due to the high humidity, the St Stephen Cave is used to cure people with respiratory conditions. The Kecske Lyuk cave is located a little out of town. Therefore it is probably the least visited cave of the three. Instead of being a tourist attraction inside the town, this cave is more of an attraction for hikers located deeper in the Bükk mountain forest. In the past, the cave served as a summer stable for goats. For this reason, people still call it the Goat Hole. The triangular entrance is 6 meters wide and 6 meter high, while the cave behind is up to 23 meters high. Apparently, this cave is pretty rich in different spider species. Researchers even wrote essays about the spider population in this cave. The cave is also home to a significant bat population. The hanging garden of Lillafured is located at the Palota Hotel. It consists of a series of gardens and terraces, each with their specific theme and particular beauty. Some terraces offer views over the Szenta waterfall, while others have a flower theme. The lowest terrace brings you to the entrance of the Anna cave. The Hanging Garden feels like a castle garden and is free to visit and open all year long. To view the flower terrace in its full beauty, a visit in winter is less interesting. Winter, however, has other charms and the Hanging Garden is an awesome pastime any time of the year. The Hanging Garden has quite a few steps and is not wheelchair accessible. We enjoyed our walk through the castle garden a lot. The garden is actually quite romantic and relaxing. Garadna Lake is an artificial lake, located next to Lillafured. After building a dam to control the rivers Szinva and Garadni, the Hamori Lake grew to its current size. The Garadna lake is about 1,5 kilometers long. During the summer, visitors can book activities on the water. The lake is a great addition to the town and it’s quite photogenic when taking pictures of the Palota Hotel. Szinva waterfall is located close to the entrance of the Szent Istvan or Anna cave. The actual waterfall has been relocated a few times. At this time, the waterfall consists of two falls in a row. In the summertime, the falls are smaller and contain less water. For more spectacular waterfall views, visit them after rainfall. The Lillafured forest train originally was a freight railway, but today it serves tourism purposes. You can board this train in the town center train station. It takes you through the forest, all the way to Garadna, a place in the middle of the forest. You can either choose to buy a single ticket and take a bus back to town or buy a return ticket back to the town. We suggest taking a return ticket unless you feel like hiking in the woods. There are no activities or attractions at the end of the railway and it feels more like you took a train to nowhere. The trip itself is cute and romantic, but don’t expect anything fancy once you arrive. 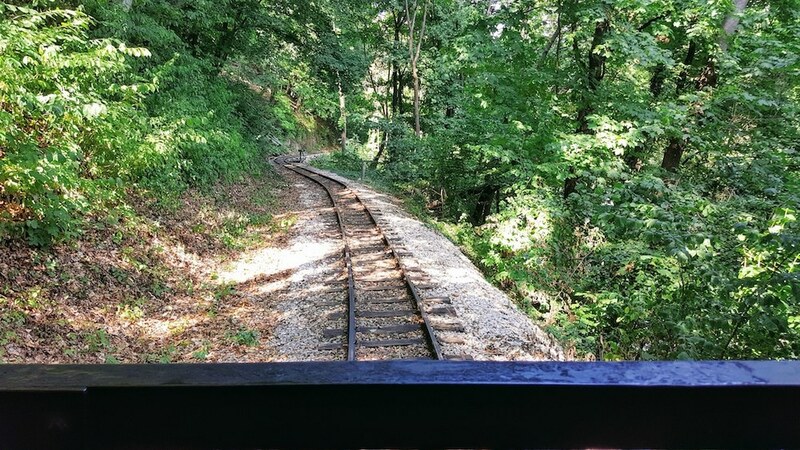 The starting point of the Forest Train is at the train stop behind the Palota Hotel. The cable car offers a few possibilities. 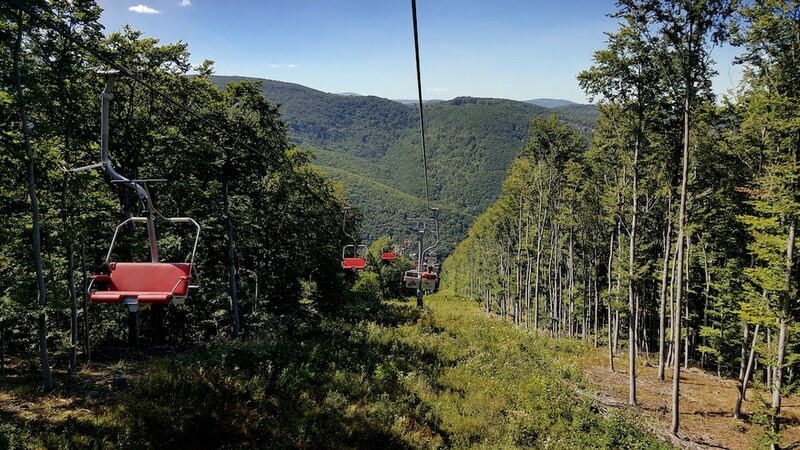 After the cable cart takes you up to the mountain station at a height of 1080 meters above sea level, you can enjoy a hike in the surrounding forest. The cable cart trip takes 16 to 20 minutes and it’s possible to take a cycle with you. Luckily, you don’t have to carry it on your lap, but the bikes are attached to the side of the seats. This way, you have a chance to cycle back down. Once you reach the top, you can engage in a few different activities like hiking, cycling or just have a drink. You can descend on two wheels or walk the Oxygen path to provide your lungs with some clean and fresh air. We chose to take the cable car back down to indulge in scenic views over the Bükk mountain range. Buy a round-trip ticket to enjoy the cable cart and the magnificent view on your way down. 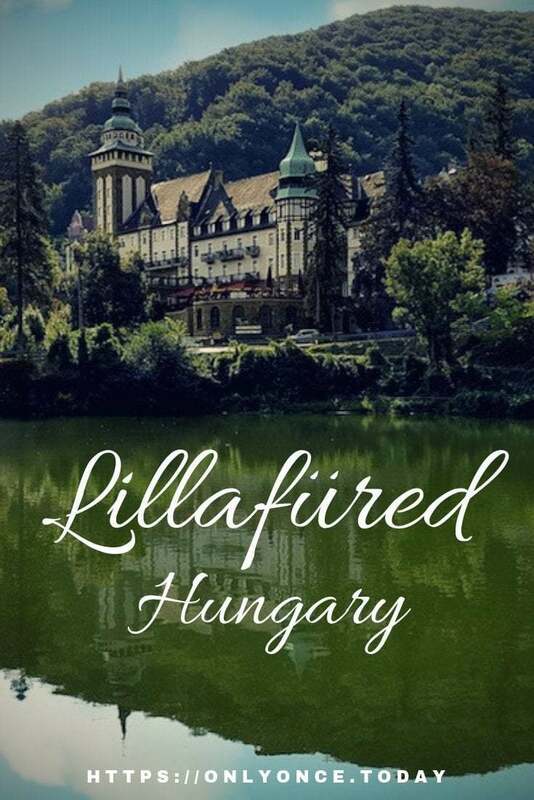 Lillafured is located close to the larger city of Miskolc. Even tough Miskolc isn’t the cutest city in Hungary, there are a few things to do in the area. You can plan some of these in addition to your trip. The Diósgyőr castle is located between Lillafured and Miskolc on the banks of the Szinva stream. 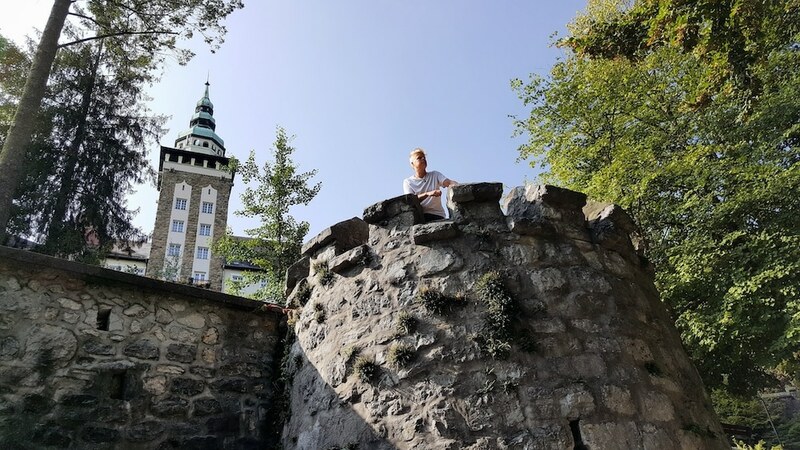 It’s not entirely clear when the castle was built for the first time, but Diósgyőr Castle was destroyed in the 13th century during the Tartar invasion. You can visit the castle or plan your visit at times of festivities. At the castle, there are regular Knight Tournaments you can attend. Want to experience what Heat Ledger went through in A Knights Tale? You can be a spectator when you visit Diósgyőr castle! Check out more castles in Hungary. This thermal spa is a very popular thermal bath in the Miskolc area. It is also known as the cave bath in Miskolc and it is a very relaxing and fun place to go for a few hours. Some of the thermal baths are set inside a cave and there are a few other thermal baths inside and outside. We visited in a colder month and enjoyed the cave bath a lot. It’s quite special and interesting. 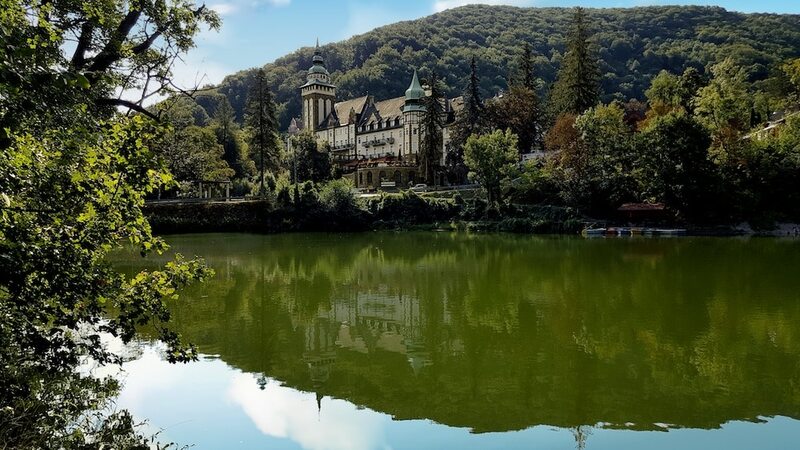 If you’re in need of a relaxing day, completed with a spa treatment and a mud packing, all of this can be found in the Miskolc Tapolca thermal spa complex. The Hunguest Palota Hotel is the top choice for spending the night! This hotel is set inside the beautiful Lillafured Castle. Travelers love this place and it’s highly recommended! Hotel Szeleta is a budget-friendly accommodation, which usually sells out quickly! This mountain town has a few parking options, most of which are paid parking lots. Parking is usually 400 HUF per hour. If you plan on staying longer than a few hours, consider parking on a parking lot that charges for a full day. For instance, the parking at the cable car itself. A third option is to book a hotel with parking options. If you continue driving on the road to the cable car station, you’ll find free parking on the left side of the street. In short, we had no trouble finding a spot early in the morning. Lillafured has a lot of food stalls where you can eat basic Hungarian food. We tried a food stall and weren’t too happy about it. Dining in the Palota Hunguest hotel might set you back a few euro. The restaurants at the hotel actually scores very high on review websites. The Miskolc Pass for tourists is a great way to discover more of the Miskolc area and get a few nice discounts as well. You can order it online before you arrive or buy it at a tourist information center. Buying your pass online will be around 500 HUF cheaper than getting it in a tourist information! You can get the Miskolc Pass for tourists for 24 hours, 48 hours, or 72 hours, depending on how long your visit will take. The card also includes discounts on public transportation, tourist attractions, restaurants, and shops. A lot of tourist attractions are free with the Tourist pass, like visiting St Stephen Cave, Anna Cave, the forest train and a lot of museums. Depending on how you like to plan your visit to Miskolc and Lillafured Hungary, a Miskolc Tourist pass might be an awesome deal for you! We took a day trip to the mountain village and we enjoyed our day a lot. It was a relaxing day with a few great views and a lot of romance. This day trip is perfect for any type of traveler anytime during the year. Obviously, Lillafured has a lot of opportunities for hikers, cyclists and mountain bikers. But even if you’re not into adventure sports… You can always walk around town and let the different methods of transportation take you into the forest and the mountains and back. After visiting the town, drive the scenic route back to Eger or return to Miskolc. We opted for the scenic mountain route to Eger and we weren’t disappointed!